What domestic situation has resulted in this door being padlocked? What does the ‘hand of Fatima’ doorknocker signify? If it’s ‘parental strife’, write a story up to 1500 words on the subject and submit to the MidSomerset Festival creative writing competition. There are other suggested themes for stories and poems prompted by the 400th anniversary of Shakespeare’s death in 2016, categories for junior and senior writers and cash prizes. 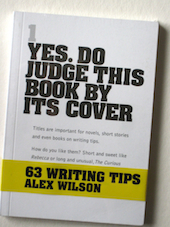 This local competition closes mid January, 2016 and is judged by author Anna Wilson. Submit by post or online. Worth a go. This entry was posted in Writing Prompts on December 15, 2015 by Editor.